A distinguished, refined and perceptive director in his work: in 2005 he was author and director of the feature film Il Rabdomante which was released in 2007 and winner of 20 awards in the various film festivals. In 2011 he was the author rand director of the feature film Maternity Blues, based on the theatrical script “From Medea” by Grazia Verasani. 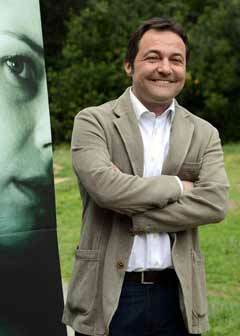 The film was presented in Venice in the Italian "Controcampo" section at the 68th Venice International Film Festival and won, among others, the Tonino Guerra Award for best screenplay at Bif & st in Bari, the Globo d'Oro of Foreign Press as "Film not to be forgotten", the "European Golden Globe" to Andrea Osvart as an actress revelation, and always to Andrea Osvart, the Film Critics Silver Ribbon for interpretation in the film. Donatella Cocchini was born in Ragusa. She has lived in Perugia, Italy, in the Region of Umbria since she was eight years old. With a background in classical studies and degree in Tourism Economy, she works prominently in the field of tourism, as well as art and culture. 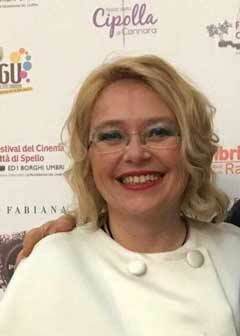 Donatella is the President of the Associazione Culturale di Promozione Sociale Aurora, and since 2012, she has organized the Festival del cinema citta' di Spello e dei borghi Umbri together with the artistic director Fabrizio Cattani. James Brock is, among other things, a writer, a journalist, and a cook. He has worked in newsrooms and kitchens in New York, Paris, San Sebastián, Germany, Abu Dhabi, Dubai, and Houston. Brock is the Marketing and Media Relations Director for Brothers Produce, and guides the company’s overall marketing agenda, including its media relations, social media and community relations endeavors. He is also a contributing editor at PaperCity magazine and writes extensively about food, wine, and other culinary topics. He also contributes to other publications, and has profiled Federico Fellini, Anthony Bourdain, Tom Ford, and John Varvatos, among others. He is an inveterate traveler, and could talk about food and wine forever, and probably will. Brock has attended film festivals around the world, including in New York City and Berlin. In 2014, he founded The Brockhaus, a culinary think tank that holds dinners and symposia on a regular basis. His guests, many of them repeat customers, spend four hours at the table during his multi-course meals (each course paired with wine), with much conversation and pleasure. Patrizia was born in Taranto, from Sicilian parents. Being her father in the Italian Navy, her family moved several times across Italy. Living in many different regions and cities gave the chance to Patrizia to learn a lot about her country, and she developed a very strong passion for the Italian history, art and language, which have been the focus of her studies. After moving from Rome to Austin, in Texas, Patrizia built a remarkable reputation as teacher, translator and interpreter, becoming a reference person in the Italian-American community. She worked for Inlingua, Pearson and as freelancer for many local and international companies. Patrizia has been teaching Italian Language at the Austin Community College for the last 18 years, where her various renowned courses are regularly sold out. Patrizia has been involved with Umbria in Sugar Land since the first edition. Patrizia lives in Austin, she likes working out and cooking, is married with Paolo and has an 11 years old son, Pierfrancesco. 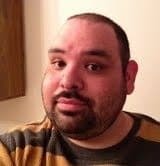 Cory Garcia is the Web Editor for the Houston Press, serving up Facebook posts and tweets 365 days a year. He once won an award for his writing, but he doesn't like to brag about it. If you're reading this sentence, odds are good it's because he wrote a concert review you don't like or he wanted to talk pro wrestling. 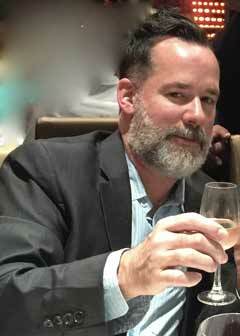 Cary Darling joined the Houston Chronicle in 2017 where he writes about arts, entertainment and pop culture, with an emphasis on film and media. 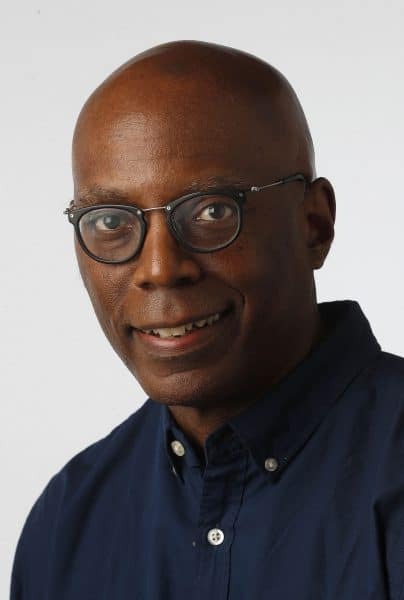 Originally from Los Angeles and a graduate of Loyola Marymount University, he has been a featured reporter or editor at the Orange County Register, Miami Herald, and the Fort Worth Star-Telegram. In addition, he has freelanced for a number of publications including the Los Angeles Times and Dallas Morning News. Promoting the Italian language, cinema, and culture in the Fort Bend and Houston area. Houston Website Design by GlobalSpex, Inc.